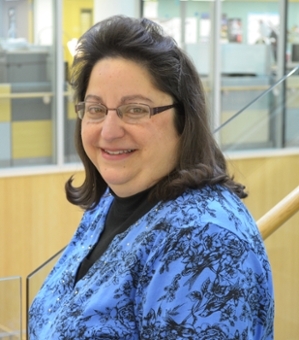 BME Graduate Program Coordinator Donna Porcelli has been honored with the Witmer Award for Distinguished Service, which is reserved for staff members who have demonstrated significant and longstanding contributions to the University. After joining the University in 1976 as a secretary in the Department of Chemical Engineering, Donna Porcelli built a reputation for being a loyal, honest, and “extremely knowledgeable” resource for students and faculty in the department. When she moved to the Department of Biomedical Engineering in 2001, that reputation continued to grow. In her current position, Porcelli plays a key role in graduate admissions and recruiting activities for the department. Colleagues say she has touched the lives of countless graduate students in biomedical engineering over the years, and has helped them be successful. Donna was honored with a reception in Helen Wood Hall and her name will be inscribed on a plaque in the Medical Center as well as in Wallis Hall on the River Campus. Read more about this year's Witmer Awards.